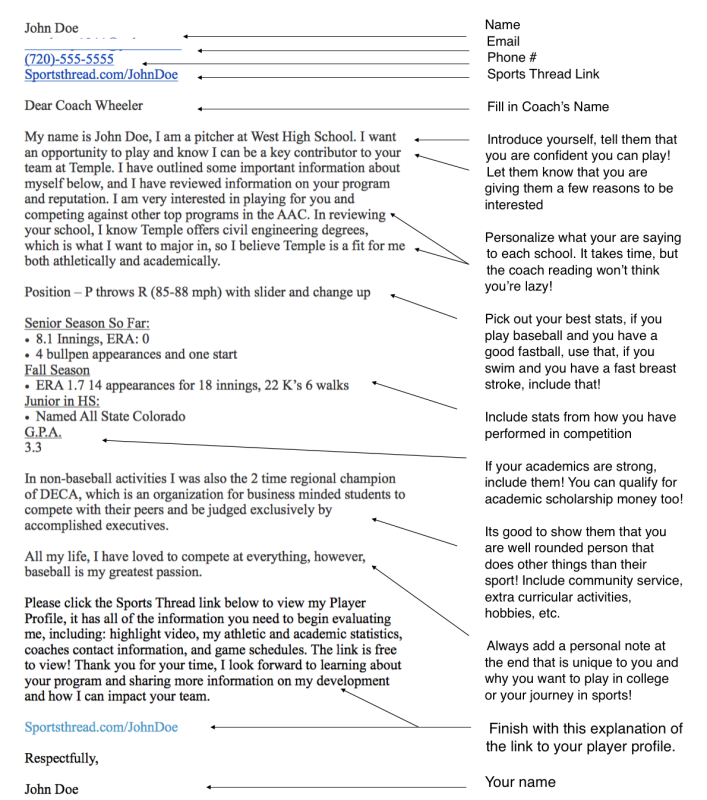 To use this template, copy and paste the text it into the email to a coach. Then replace all (underlined text) with your specific information, and fill in any blanks. 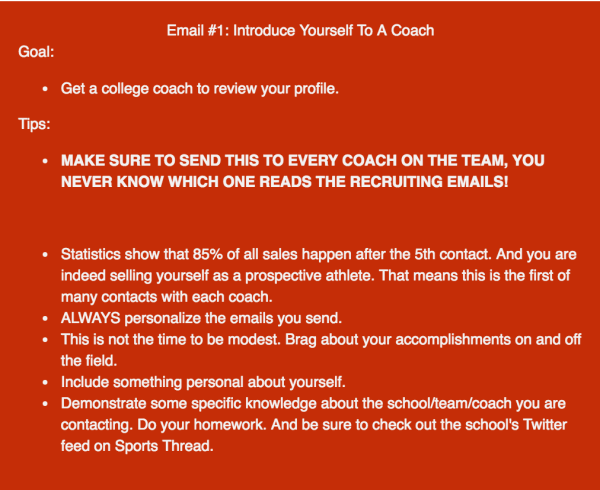 Make sure to remove the underlines from your email before sending them to the coach. Items in italics are tips to help you. Do not copy everything word for word. Coaches appreciate originality. It will help you stand out! My name is (__________), I am a (position here) at (______High School). I want an opportunity to play and know I can be a key contributor to your team at (college name here). I have outlined some important information about myself below, and I have reviewed the information provided on your program and reputation, I am very interested in playing for you and competing against other top programs. (Include knowledge of the university/program/coach here). In non-sports related activities,( Add what you do outside of your sport here, see example above for ideas ______________________________________). (Add a personal touch here, see example above for ideas______________________). Please click the Sports Thread link below to view my Player Profile, it has all of the information you need to begin evaluating me, including: highlight video, my athletic and academic statistics, coaches contact information, and game schedules. The link is free to view! Thank you for your time, I look forward to learning about your program and sharing more information on my development and how I can impact your team.